Looking for a fun new game to play on your phone or mobile device? Well, there is a great new game debuting today from leading mobile studio Jam City! Jam City is the maker of popular hit gaming apps including Cookie Jam, Panda Pop, Juice Jam, The Book of Life: Sugar Smash, Genies and Gems. This time Jam City has a game for everyone’s favorites, Peanuts! You are going to love the super fun and addictive “Snoopy Pop”! Join the Peanuts gang with beloved Peanuts characters and classic Snoopy alter-egos! Being a Peanuts ambassador I was very fortunate to have a sneak peek, of this cool Snoopy Pop game. What exactly is a Snoopy Pop? 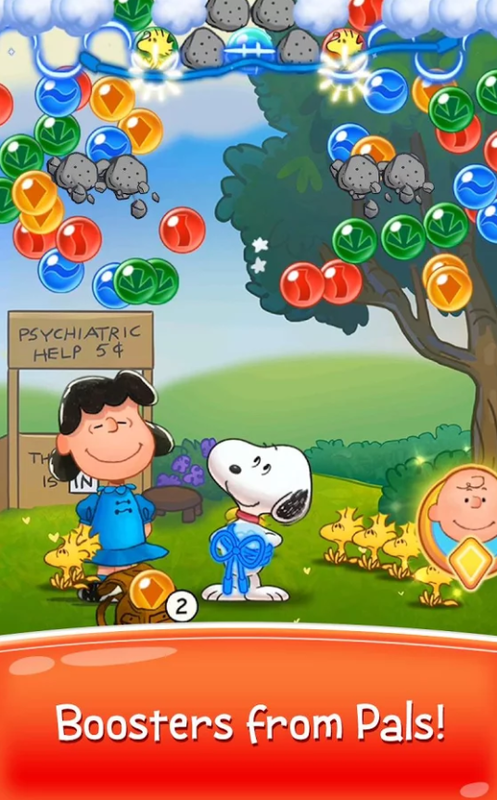 Well is a game that brings the beloved Peanuts characters to life in an all-new bubble shooter game! 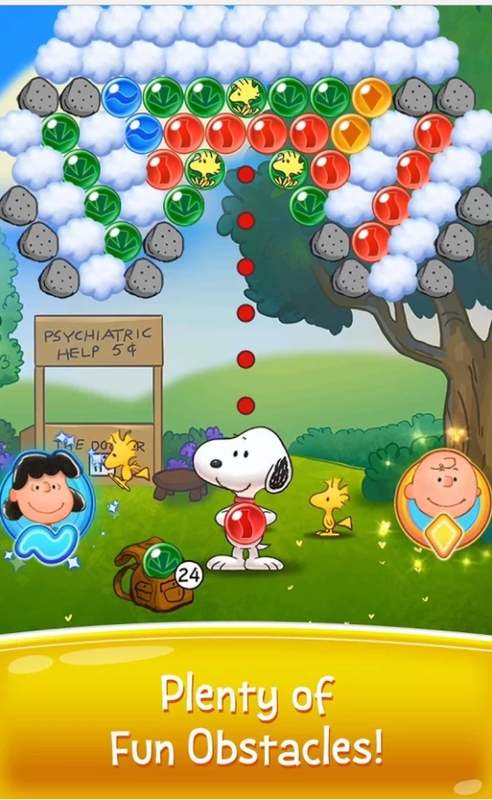 Help Snoopy and the rest of the Peanuts gang rescue Woodstock and his flock of birds who have been trapped in bubbles. He’ll need the skills and talents of each of his famous personas to save them! 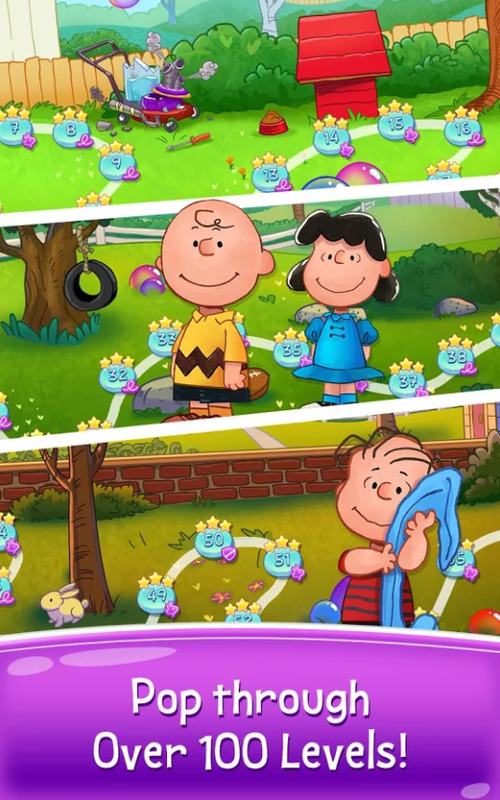 Employ the help of Charlie Brown’s yellow kite and Linus’ blanket to overcome obstacles and return the birds safely to land. Prepare your doghouse and stock up on bubbles as you take on the infamous Red Baron to save your fledgling friends! I have to admit I was quite excited to be able to be one of the first to check out this game. The summer is here and that means lots of appointments and travel… With that brings plenty of time just sitting and waiting and I wanted something that would help me pass the time, not just pass the time help to enjoy the time I will be spent waiting for this or that… I was ready to tackle the game and master it! Well as soon as I started playing I have to say that the graphics were amazing they really caught my attention and kept my attention! The new bubble shooter game has exciting game modes! 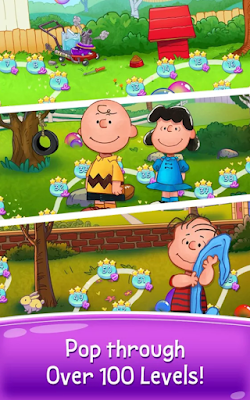 Pop bubbles and explore all the fun the Peanuts Gang has in store for you. The puzzles are a lot of fun, they are varied, dynamic, and challenging puzzles that keep you engaged and I could not put the game down… I just had to make it to the next board, then to the next. Pop, pop, pop… While you play you can collect characters, game pieces, boosters, and more all are there to help you help you level up. The game is filled with over 100 levels, and there will be more to come soon. One of my favorite Peanuts characters of all time are Snoopy’s personas, like Flying Ace & Masked Marvel and this game features these Snoopy’s! Along with other favorites of mine including Woodstock, and Lucy (of course many many more, but those are my favorites). The scene events are based on classic story lines & holiday specials (we all remember those of course). 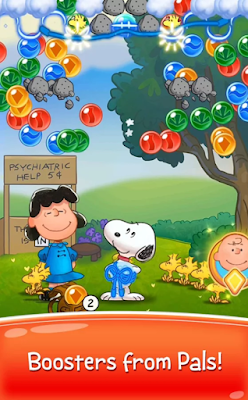 Not only does this game feature Peanut’s characters you love, it also features officially licensed music from the Peanuts series. I found myself humming along to my favorite tunes, it just brought me back to watching the specials when I was a child, and I loved that! Now that the game is live, I look forward to the new fresh new levels, characters, worlds, & events that are going to be added weekly. Cookie Jam was the recipient of Facebook’s 2014 “Game of the Year” award and I can see why these games are well made and have lots of fun and extras to keep you playing and entertained. The official launch date for the Snoopy Pop app is today July 12! 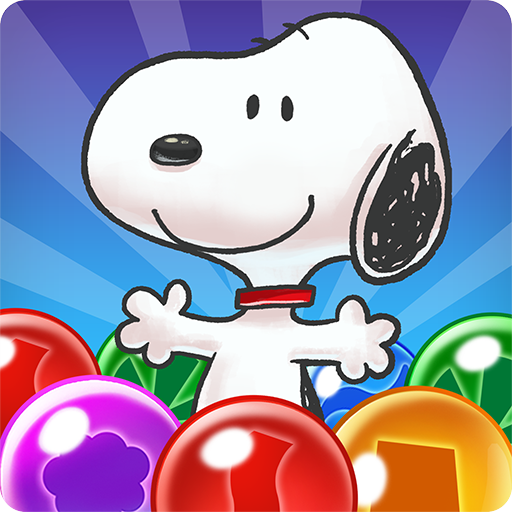 Be sure to visit Google Play and the Apple App Store to download your copy of the Snoopy Pop app today! What do you think of this new app, is this something that you would like to play? I would love to hear your opinions, why not check out the game and start having fun today! The generous folks at Jam City are giving one of Susan’s Disney Family readers a chance to win an amazing Samsung Galaxy tablet that has the Snoopy Pop app downloaded onto it! You will be ready to have fun and play the game in no time! Would you like to enter? Please let me know what excites you most about this game, and why? 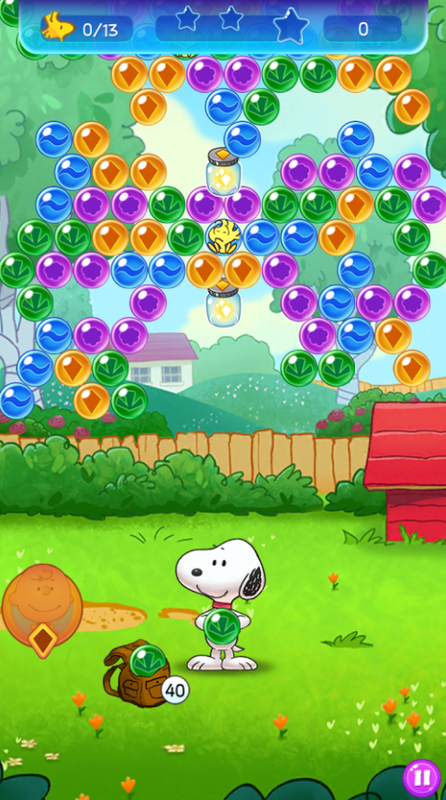 Who would love to try this Snoopy Pop game? There are also other ways to enter, please enter below. One winner will win a Samsung Galaxy tablet pre-loaded with the Snoopy Pop app! Disclosure: The reviews and or opinions on this blog are my own opinions. As a Peanuts ambassador, I received Samsung Tablet, pre-loaded with Snoopy Pop. No monitory compensation was received. I was not required to write a positive review. Your experience may differ. The opinions I have expressed are my own I am disclosing this in accordance with the Federal Trade Commissions 16 CFR Part 255: Guides Concerning the Use of Endorsement and Testimonials in Advertising. 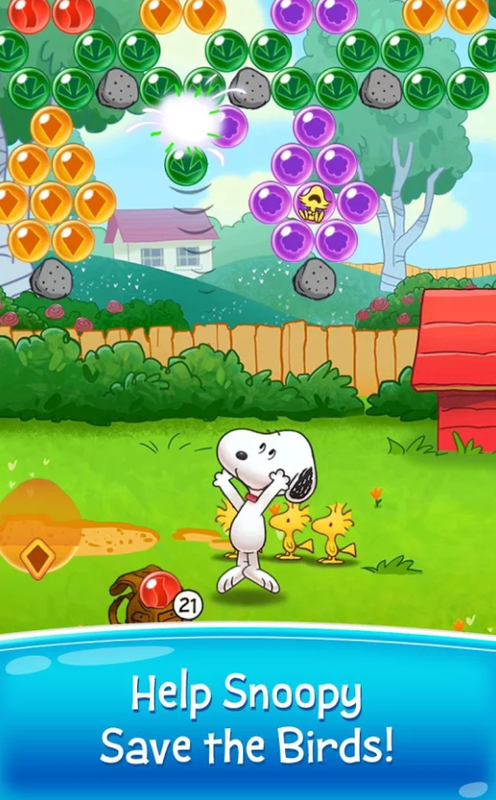 Yes, I'd like to play it because Snoopy is so cute. I would love to play this game because it looks easy to play and everyone, including me can play it. I am bad at playing video games. But I would give this game a try. I would love to play this game. It looks like a fun way to pass some time. i would love to play this game as would my daughter because we truly love the Peanuts gang. That this game is almost kind of a candy crush type game makes it even better. Can not wait to check this game out. My son would like to play this game. He likes Snoopy. This would be super duper incredible to win for my sweet little Chloe Pearl. I know she would LOVE this game! I would love to play this game because I always loved Snoopy. This looks like a game both myself and my kids would enjoy! I would like to play this game because I like the Peanuts characters and music. Yes, I would lay it, it looks fun and challenging. I would love to play this. It looks like a fun game that my whole family could enjoy playing! I would play this game because it's Snoopy. Who doesn't love that? Yes, I would like to play it, it reminds me of a game I played as a kid. I would definitely play this game, and this would be great for our son. I know I'd play it to check it out. Then I'd have to fight my kids to play it on the tablet I'm sure. I would love to play this game for it looks fun. We love Snoopy here. My kids would really enjoy this game too. I don't play games on my phone but I would totally play it with my girls, I do love snoopy so much, it would be great to enjoy quality time with my girls. Fun, I always liked snoopy. I would like to play this game because it looks fun and Snoopy is an icon! Sure thing, I would play this game! I like puzzle type games. Yes I would. It looks like fun! This would be a fun game for my cousins and I to play together. yes I want to play this game. Playing games is relaxing for me. We'd like to play, looks fun for taking turns with the family. I would absolutely play this game! I have always loved Snoopy! My Granddaughter would love to play this game. I'll love to play because I've heard and read so many great reviews. I have always loved Snoopy and I think it would be such fun to play this game. My son would enjoy it too. My daughter would like to play this game. She likes games like this. Oh our whole family would love to play this game! It looks so fun and we are such huge fans of Peanuts! Would be fun to have all our favorite ones in the game! We would all like to play this game but especially my kids. Yes! I love these kinds of games. I would love to play this game! It looks like a lot of fun! I am a huge Peanuts fan and love the colors of this game. Looks like fun. I like Snoopy and I like popping games. I would love to win and play this game with my sons who are 7 and 9 because it is family friendly and looks fun! I would love to play this game with the grandkids as it could provide for hours of fun. I love other games like this one, so I know I will love it. Especially with all the colors I see too! I would love to get my daughter into this game as well. My daughter would love to play this game because she is a peanuts fan. Yes, me and my kids would all love to play this because it looks like fun. We love all the different levels, too. I would love to play this game because I am addicted to bubble pop and puzzle time games. My son would love to play this game! I'd like to play this game with my kids because we all love snoopy and the peanuts at our house. 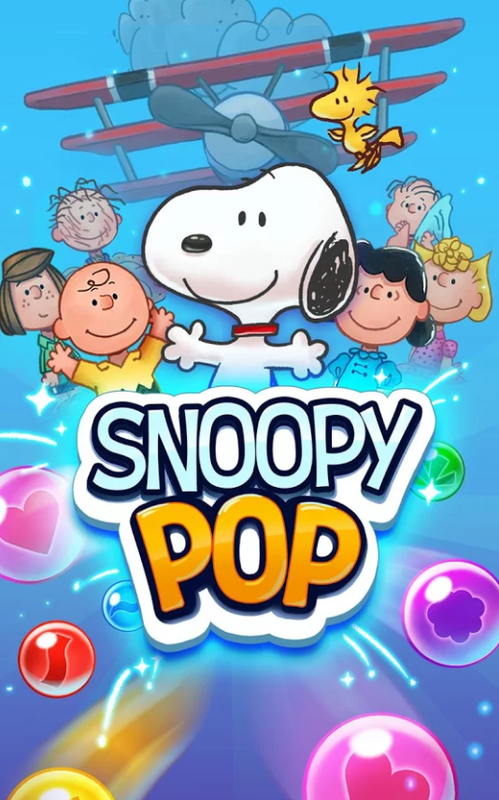 I WOULD LOVE THIS GAME BECAUSE I LOVE SNOOPY. I would love to play because I love snoopy and I love puzzle games! I don't know if I would like to play this game as much as my daughter would like to play this game. She really likes Snoopy and music so I think she will love this game. And who am I kidding, I'll probably play it too and get totally addicted! I'd enjoy the game because I'm a big snoopy fan and it looks fun. 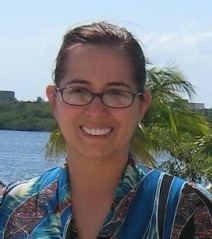 I would love to win this! We are fans of Snoopy!